Royal Wheels India is an adventure travel group organising Tribal Tours Packages in India. Arrive Bhubaneswar On arrival you are transferred to your hotel. Afternoon a half:day tour of Bhubaneswar City. Overnight at hotel. Bhubaneswar / Taptapani Morning drive to Taptapani en route visiting the Chilka Lake. Drive on and check into guesthouse. Rest of the day is at leisure. Overnight at hotel. Taptapani / Rayagada Morning drive to Rayagada en route visiting the Desia Kondh Tribal villages. Drive on and check into your hotel. Rest of the day is at leisure. Overnight at hotel. 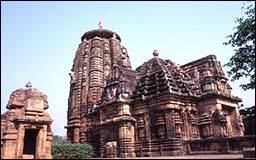 In Rayagada Morning embark on a mild hiking on the Niyamagiri Hills to view the Dongaria Kondh Tribal hamlets. Overnight at hotel. In Rayagada Morning drive to Kothagarh to visit the Kutia Kondh Tribal Market (Market is held only on Tuesday). Return back to Rayagada and en route visit the Kutia Kondh Tribal village. Drive Rayagada / Jeypore Morning drive to Jeypore en route visiting Chatikona Tribal Market (Market is held only on Wednesday). Drive on and check into your hotel. Overnight at hotel.